In and out privileges all day so you can play, shop and play again! Melt crayons into fun shapes like sharks and seahorses! 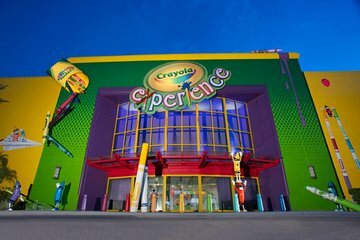 Make your own way to the Florida Mall in Orlando to enter the Crayola Experience. Once inside, choose from 26 activities and attractions to do at your leisure. Learn about the crayon-creation process during a live demonstration by the staff. Make your own crayon by picking a color, naming it, and wrapping it. Create your own a drip-art masterpiece by melting crayon wax onto a canvas. Kids can play and climb on the 2-story Color Playground, and you can purchase refreshments at Cafe Crayola if you like (own expense). The Florida Mall also has more than 250 stores and eateries that you can visit before or after your time at Crayola Experience. We had the most "colorful" time at the Crayola Experience. There was a plethora of activities to participate in from naming your own crayon colors, creating your own works of art which are yours to bring home! 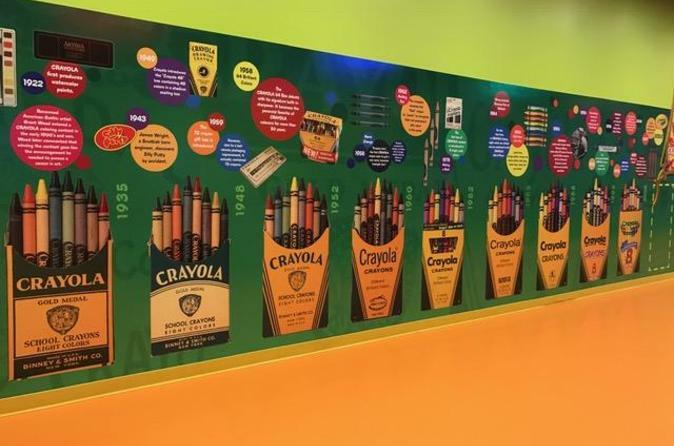 I visited Crayola Experience over the holidays and my family absolutely loved it. We stayed for a few hours and did everything from making personalized crayons to painting with melted crayons! There are so many activities for all different ages. And the best part was that we got re-entry, so I also got some shopping time in while my husband kept an eye on the kids! Perfect! !